Coming from that breeding ground for hard rock in Birmingham of the West Midlands is The Crimson Star, hoping to dazzle you with their short five song EP, New Road, of essentially melodic heavy rock. 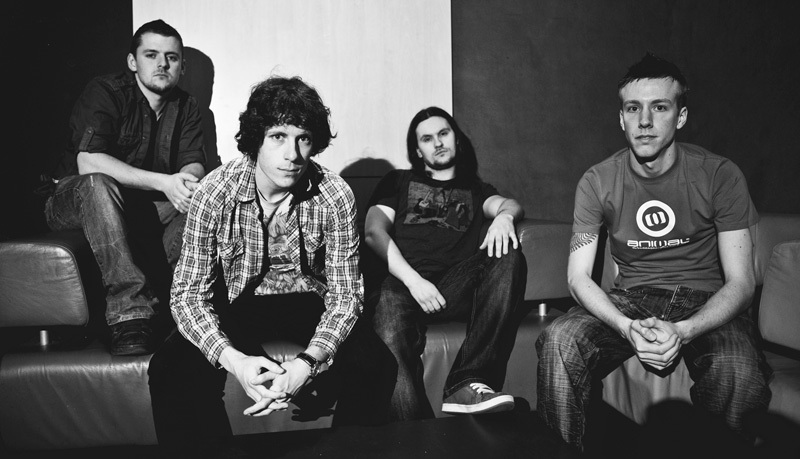 The band offers several influences for their style including Soundgarden, Audioslave, Led Zeppelin, Foo Fighters, Alter Bridge and Pearl Jam. And you'll likely her some of this. The Crimson Star could equally fit into the heavy rock of the late Seventies as much as fit today's post-grunge sounds. The sound is d-tuned, heavy, and sometimes raw in its feel. Some listeners might even consider this stoner rock when adding the generally moderate pace of some songs to the heaviness. Mostly The Crimson Star jump right in and rumble along, groove heavy thanks to a solid rhythm section (Ross Edgington is a fine drummer) with solid melody and bristling guitar solos. James Shaw handles both lead vocals and guitar, and at times seems a little misplaced in time with a early psychedelic flavor to his leads. Basically, I think he just knows that you can't have decent hard rock without genuine rock licks. He's pretty good singer, too. 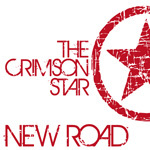 In the end, The Crimson Star is off to a good start with plenty of potential with New Road, Hey You, and the catchy Some Other Way the best cuts here. If heavy rock is your thing, then you don't want to overlook this one. The Crimson Star is off to a good start with plenty of potential with New Road, Hey You, and the catchy Some Other Way the best cuts here. If heavy rock is your thing, then you don't want to overlook this one.